Panasonic launched a new smartphone in Eluga series in India. Eluga S Mini is the new handset and this is the mini version of Eluga S which was launched in India in 2014 for a price of Rs. 11,190. The smaller version will be made available in this week for a price of Rs. 8,990. 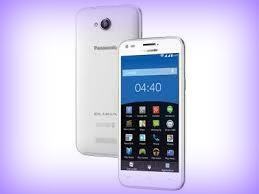 New Delhi: Panasonic Eluga S Mini sports 4.7 inch display and the resolution is 720 x 1280 pixels. It is powered by octa core processor whose clock speed is 1.4 GHz. The processor is paired with 8 GB internal storage. There is facility to expand memory up to 32 GB via micro SD. There is 5 megapixel camera at front 8 megapixel camera at front. The handset comes out of the box with Android 4.4.2 Kitkat operating system. It supports WiFi and Bluetooth connectivity along with 3G connectivity. Other features are 3.5 mm headphones and micro USB charging. Eluga S Mini is a dual SIM smartphone and there is also proximity, ambient light and accelerometer sensors. Battery under the hood is 1980 mAh. This entry was posted in Launches, Tech on June 2, 2015 by Rakesh.